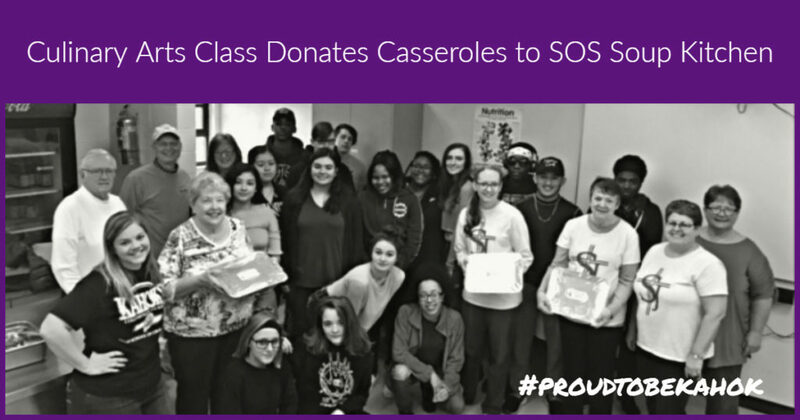 The Native Grill – aka Collinsville Area Vocational Center Culinary Arts class – prepared and donated 15 casseroles for the SOS (Spirit of Sharing Soup Kitchen) to serve on Thursday, April 4, 2019. “Members of the church came to pick up the casseroles and were extremely grateful. The students learned a valuable lesson of how important it is to give back and saw how many people need help,” said Native Grill instructor Kristie Moore.